What do you get when you combine a bunch of flowers and a doughnut? Doughflowers of course - and we know which one we'd rather get a bouquet of. A rose by any other name would smell just as sweet. Or, in this case, taste just as sweet. Because these roses are actually doughnuts and they're the best darn bouquet we've ever seen. 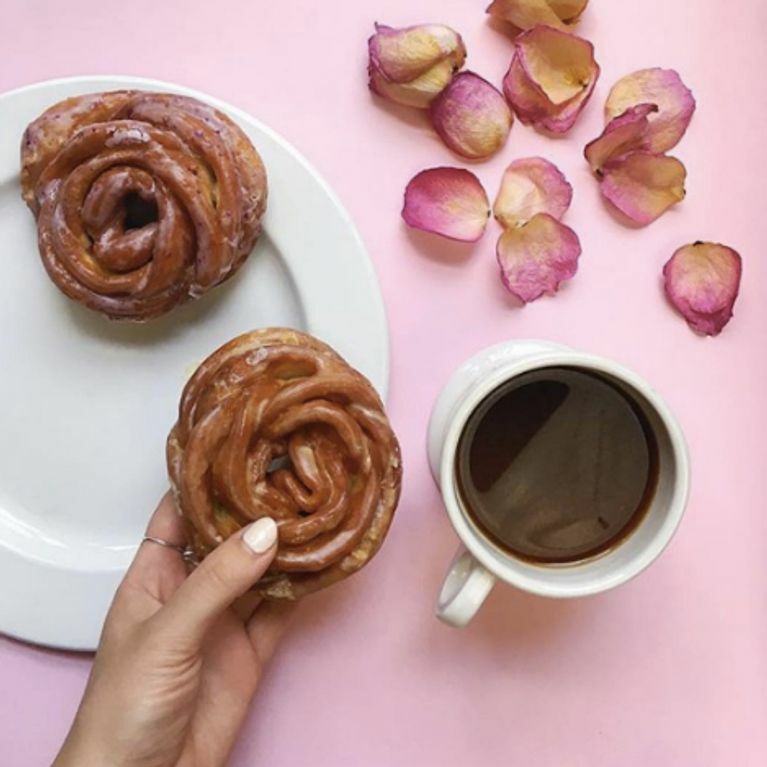 These "doughflowers" were created by Mark Isreal, owner of NYC's Doughnut Plant, as a sweet treat for Mother's Day, according to The New York Times. And these are no one-trick pony - they come in three different flavours: strawberry - made with fresh berries - for the classic kinda gal; rose water with edible petals for the sophisticated soul; and Italian blood orange made with orange blossom water for those who like their sweet stuff a little bit tarty. I don't know if a doughnut in the shape of a rose makes the doughnut tastier but I'm willing to try them to find out. Try all of them. Multiple times. Please.